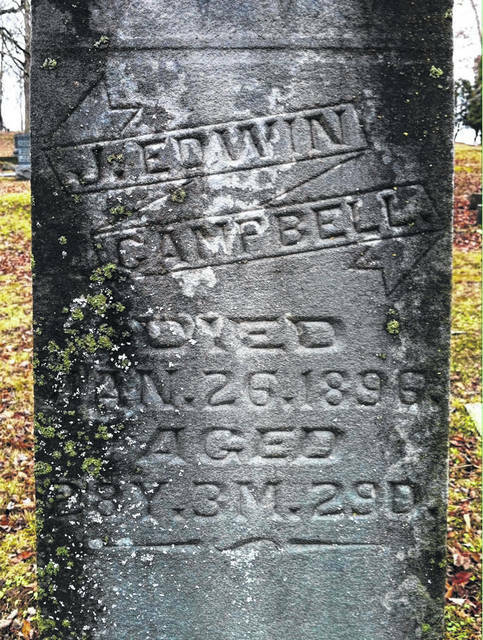 The grave marker of James Edwin Campbell. 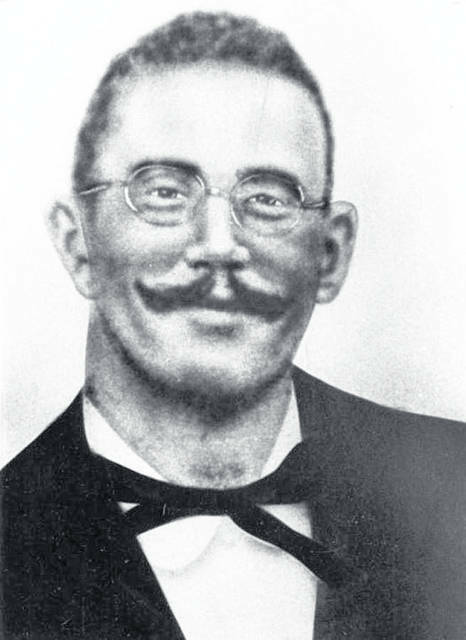 James Edwin Campbell was born on Sept. 28, 1867 in Pomeroy, Ohio to Aletha (“Letha”) Esther Starks and her husband James Edward Campbell, both of whom had been born across the then Virginia before the Civil War. James had two older brothers, Charles William Campbell and John C. Campbell. Very little is known about Campbell’s early life, which he kept private, even from his closest acquaintances. He attended school in Pomeroy, first at the Kerr’s Run Colored School and later graduating from the Pomeroy Academy in 1884. In 1887, Campbell published Driftings and Gleanings a volume of poetry and essays in standard English. 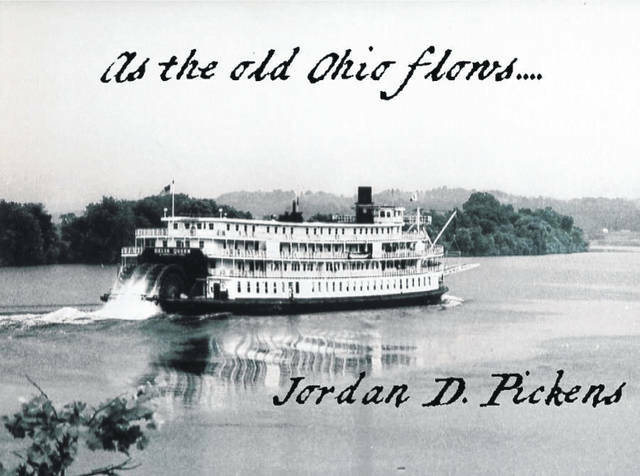 Eight years later he published a collection of Black dialect poems, Echoes from the Cabin and Elsewhere, well before Paul Lawrence Dunbar popularized “Affrilachian” dialect and the Harlem Renaissance. Many of his poems are written in the dialect of his subjects or the vernacular of the time, as well as Standard English. Campbell returned to Ohio and became involved in Republican Party politics, then became Principal of the Langston School in Point Pleasant, West Virginia. After the second Morrill Act in 1890 established land grant colleges for African American students in states that practiced racial segregation, West Virginia’s legislature decided to establish one for its African American citizens. On August 4, 1891, Campbell married Mary Lewis Champ, in Harrison County, Ohio. Mary Champ was the daughter of Eveline Thompson Champ and Joseph L. Champ, a teacher and former principal of the African-American schools of Jefferson County, Ohio and later, Parkersburg, West Virginia. Mary Lewis Champ-Campbell graduated from Oberlin College in 1890, and was also a poet in her own right. James Edwin Campbell taught in Rutland for a time before moving to Chicago to write for daily newspapers there in the 1880s and 1890s, including the Chicago Times-Herald. He also became a public speaker and participated in a group publication, the Four O’Clock Magazine, a popular literary magazine. J. Edwin Campbell served as the first president of West Virginia Colored Institute (now West Virginia State University) from 1892-1894. His wife, Mary Champ-Campbell, was appointed as Instructor of Vocal Music and Drawing in 1892. His successor, lawyer and teacher John H. Hill, oversaw the university’s first commencement, would resign to fight in the Spanish-American War and later return to teach. While visiting family near Kerr’s Run, Campbell died of pneumonia on Jan. 26, 1896. He was survived by his parents and wife. He is buried at the Beech Grove Cemetery. The Meigs County Historical Society erected a historical marker in his honor which was located at Water Works park in Pomeroy, but has since then been damaged and not repaired. Being Valentine’s Day, I thought I would share a few of his poems. Note: Some are written in Standard English and others are written in Affrilachian dialect. Know thy lover, me, Francisco? To my dream so warm and so tender. And the waves like helmets were gleaming. And her eyes like Orion were gleaming. ‘Neath the cloud of her thick locks dusky. For Day, of my Love had bereft me. My sweetheart, sweet of the Long Ago. In the harvest of all the years! I shall find you, my sweetheart, I know. My sweetheart, sweet of the Long Ago!